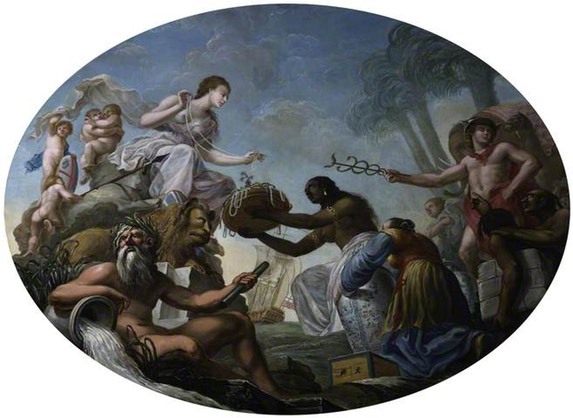 The UK's Paintings (including the British Library's) are ALL ON-LINE!! For over a year, I've been helping with an ambitious digitization project. The project, titled ‘Your Paintings’, features a database of all the oil paintings held in public collections in the UK. Last week, the final stage of the 'Your Paintings' project was launched, making the UK the first country in the world to give such access to its entire national collection of paintings. 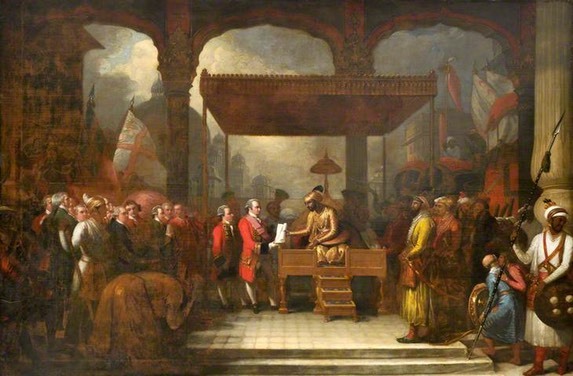 The British Library’s contribution consists of just under 300 paintings, most of which are historically connected with the East India Company, and British Colonial rule in South Asia. For anyone interested in UK based public art collections, the ‘Your Paintings’ website is an incredible resource. You can search for paintings according to artist, location, sitter, or any other keyword that takes your interest. You can also help others learn more about these paintings by tagging them. Through tagging, you’ll help anyone exploring the ‘Your Paintings’ website to find paintings that interest them. 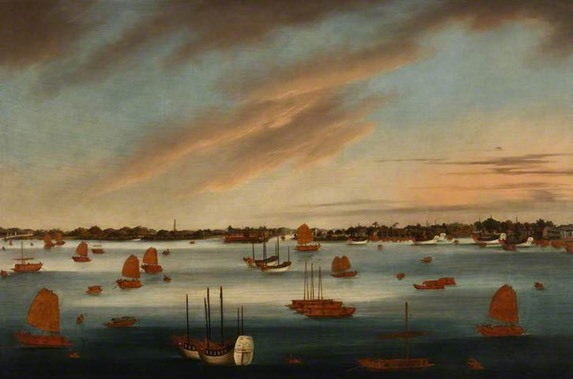 To give an idea of how paintings can serve as a teaching aid, I’ve placed below 2 pairs of paintings from the British Library’s collections that relate to the East India Company's history. How is each pair connected, and what does that connection tell us about the East India Company? What was the Company doing? How did they perceive themselves? Click on a painting to see it on the 'Your Paintings' website. 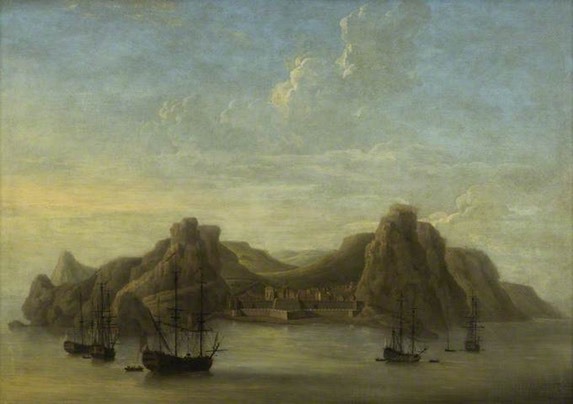 Click on the caption below the painting to see a British Library catalogue entry. Pair Number 1: An allegorical painting and a durbar scene. All content of this website is the property of Jennifer Howes unless otherwise stated. Photographs by Jennifer Howes is licensed under a Creative Commons Attribution-NonCommercial 3.0 Unported License. Based on a work at jenniferhowes.com/photographs/.